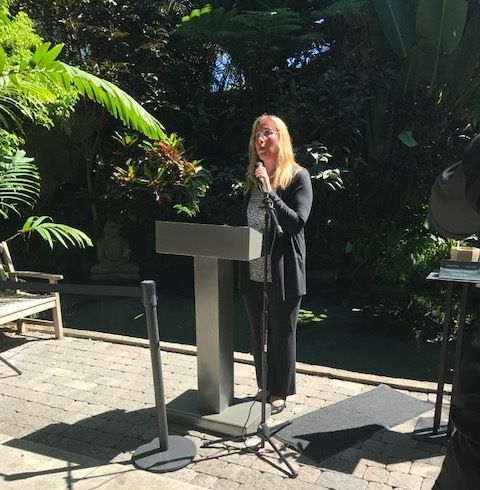 Visitors to Marie Selby Botanical Gardens were witness to history on Tuesday when the Selby horticultural team debuted its newest exhibit in conjunction with New College of Florida. Seeds of Hiroshima features three young saplings that are direct descendants of trees that survived the dropping of the atomic bomb on Aug. 6, 1945. 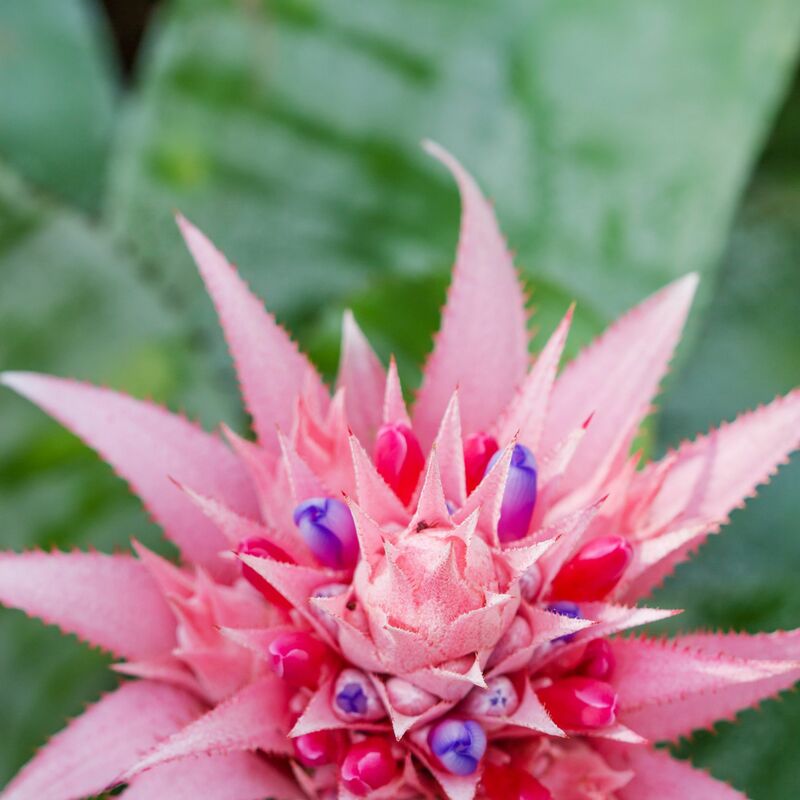 The budding trees were germinated from seeds by the Selby Gardens staff, a process that began in April of this year. 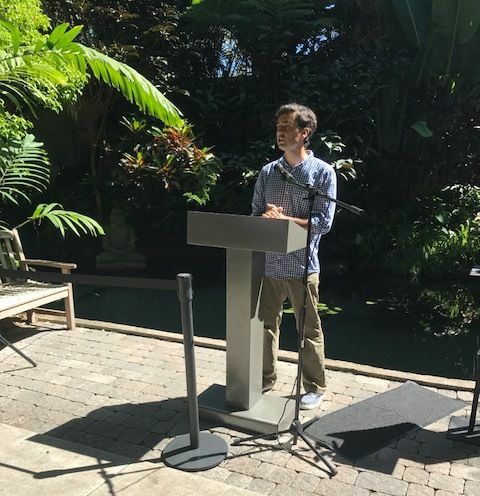 The seeds were brought to the gardens by New College professor Dr. Manuel Lopez-Zafra, who collected them through an organization called Green Legacy Hiroshima. 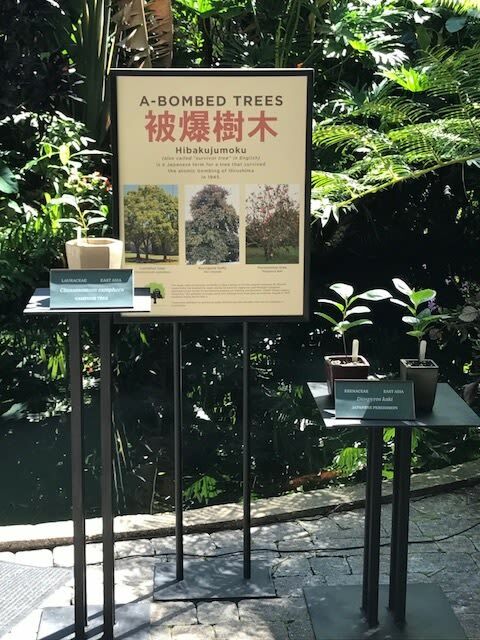 The program is affiliated with the United Nations Institute for Training and Research, and provides seeds and cuttings from the hibakujumoku, or “survivor trees,” that weathered the bombing. Though nothing was meant to survive the bombing of Hiroshima, more than 100 trees within a one-mile radius lived through the nuclear assault. Green Legacy Hiroshima sends seeds and cuttings of the trees that survived the bombing all over the world, where their historical significance allows them to act as ambassadors of peace. Selby's three saplings—a Camphor tree, Kurogane holly, and Japanese Persimmon tree—will be well cared for at the gardens, where they can be appreciated both for their symbolism and their status as the first trees of their variety at the gardens. Selby will offer free admission to veterans on Sunday, Aug. 6, the 72nd anniversary of the Hiroshima bombing. The saplings will be on display throughout the month of August.